I started taking photos at the age of 9. My parents bought me my first camera, I took photos of everything. Eventually with my love of music I was drawn to many events that I captured on film. My love for blue’s music has kept me in that genre for years. 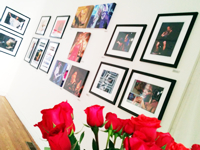 In 2015, I was honored to be inducted into the Chicago Blues Hall of Fame for my photography. I will continue taking photos, it is my true love and a gift from God. None would have imagined that Holle Thee Maxwell would sing blues: she was destined for an operatic career! Yet the correctly-postured, clasped-hand classical life would give way to “Thee” rocking Soul/R’B, Blues volcano: Chicago’s “Force of Nature Par Excellence.” The statequese blond bombshell recorded for several labels, with early hits “Only When You’re Lonely,” “One Thin Dime,” “Never Love Again,” “Suffer,” and “Philly Barracuda” charting well across the country. Today, her singles are sought by collectors across the world, especially in Europe where they call her sound “Northern Soul.” Café-owner Maxwell recorded with jazz great Jimmy Smith, and replaced Tina Turner in the Ike Turner band. A graduate of the Juilliard School and Chicago Musical College, the accomplished songwriter sings several genres and in French, German and Italian. 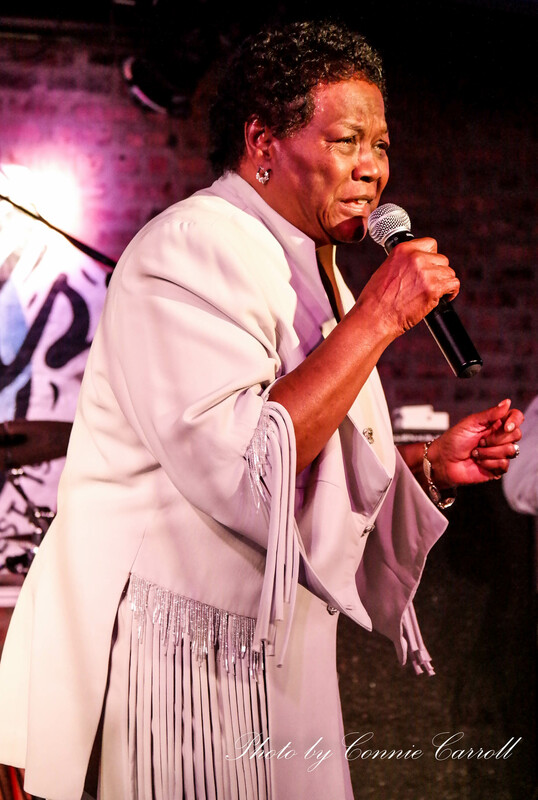 From opera, to “Thee” Blues, Holle Thee Maxwell fills the stage with her distinct style and personality. 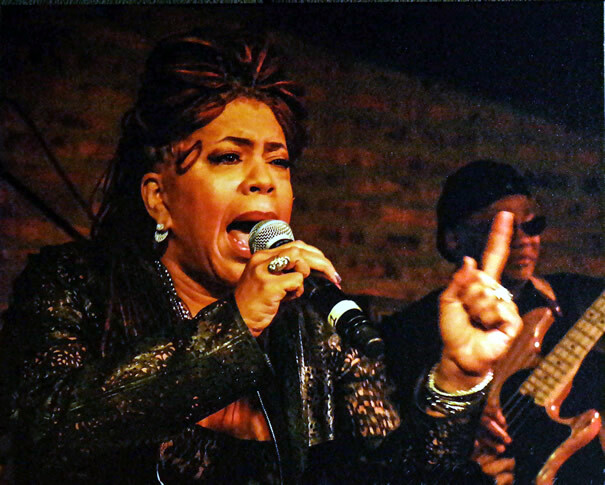 Maxwell was inducted into the Chicago Blues Hall of Fame (2014) at Buddy Guy’s Legends; and honored by the Great Black Music Project of the Northeastern Illinois University who added her to their artist registry and podcasting their interview of her about her music career. 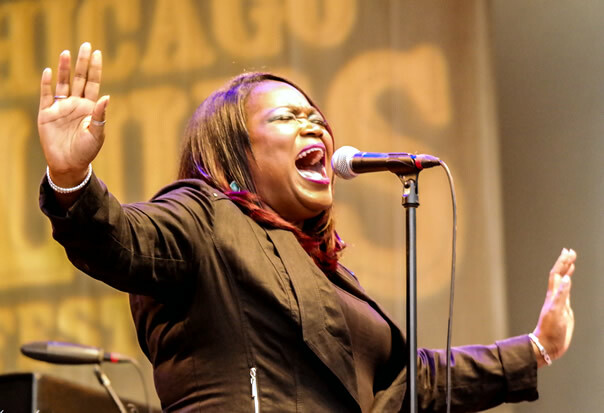 Seasoned Blues performers like 2013 Chicago Blues Hall of Famer Liz Mandeville work hard and play even harder! She describes her current style as “not your grandfather’s Blues”… elements of Funk with touches of Latin, Reggae, and Americana abound. 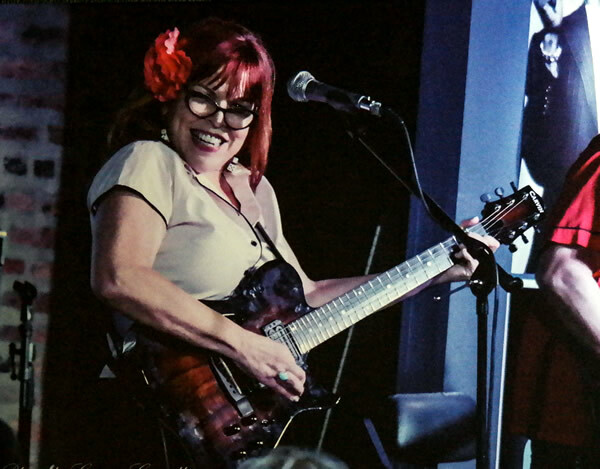 Liz is self-taught (guitar, washboard and porch-board) and has written and/or produced over 100 original songs, resulting in seven critically-acclaimed CD’s. The long-anticipated 2014 release of Liz Mandeville: Heart ‘O’ Chicago! Yielded two Jimi Award Nominations, and was named to Roots Music Report’s Top CD’s of 2015. Her guitar style grants homage to her influences: Mississippi John Hurt, Lightnin’ Hopkins, Muddy Waters to T-Bone, Curtis Mayfield and the Chicago Blues of Jimmy Reed. A Columbia College grad, she writes for ChicagoBluesGuide.com, and gives fun, interactive Blues Music Workshops. Thousands of road miles have been logged since her emergence on the scene in 1983, and she just keeps getting better! 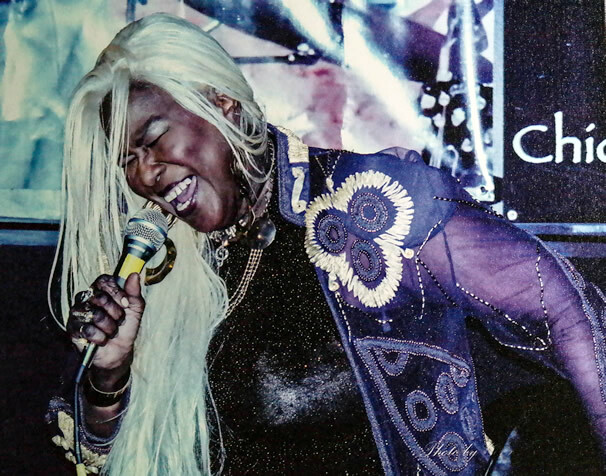 Clarksdale — her first release for the Blue Kitty Music label, was an idea fostered by the late Grammy winner Willie “Big Eyes” Smith who contributed 5 tracks to the project. In 2015, Mandeville was named to the List “40 Great Indie Musicians to Watch!” by the Alternative Root Magazine! Her newest CD, Guitars Gone Wild! Vol 1, debuts June 1, 2016. Rose Reed is the sixth child and fourth daughter of Mary Lee and Mathis James Reed (the famed Legendary Jimmy Reed). A graduate of Calumet High School in Chicago, she is currently pursuing a degree in English at Chicago State University. She is an ordained minister affiliated with the Prayer Band Pentecostal Church and the Covenant Faith Church of God. 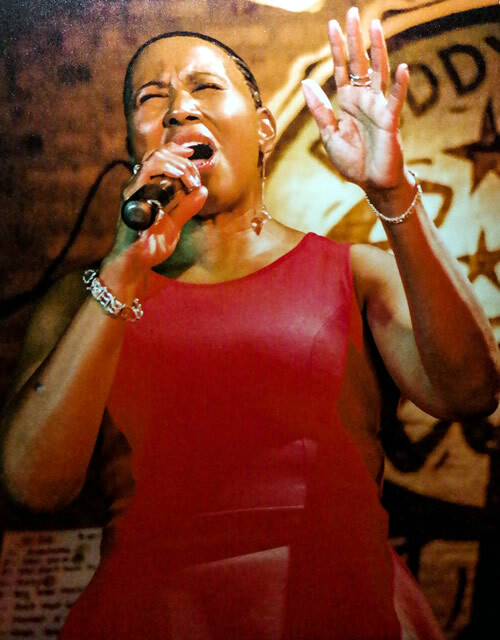 A published poet, she is also an accomplished singer who has performed her father’s music at various venues across the Chicago area, including The Old Town School of Music, The South Shore Cultural Center, and the Maywood Summerfest. Teaming with husband Nickolas Ashford, Valerie Simpson co-wrote numerous soul hits before the pair began a fabulously successful performing career of their own in the early ’70s. Ashford and Simpson wrote for the likes of Chuck Jackson and Ray Charles before joining the production staff at Motown and creating hits for many of the company’s top acts, notably Marvin Gaye and Tammi Terrell. They tallied their own first soul hit in 1973 for Warner, racking up a solid string of smashes that include “Don’t Cost You Nothing” (1978), “Found a Cure” (1979), “Street Corner” (1982), and “Solid,” the duo’s first R&B chart-topper in 1984.